This itinerary offers the most variety and diversity in both flora and fauna as well as birding and wildlife. Starting off with culture and history in Matopos, followed by the opportunity to see the big five. 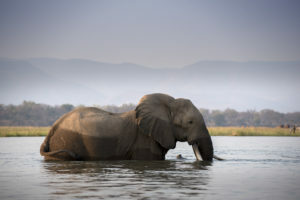 This is followed by one of the planets last untouched wilderness areas, Mana Pools. The focus in Mana Pools will be walking safaris, the bird life is spectacular as well as the animal sightings. Lake Kariba, Africa’s largest man-made Lake is next, again offering you both land and water activities which are aimed at all walks of life, both luxury and rustic. 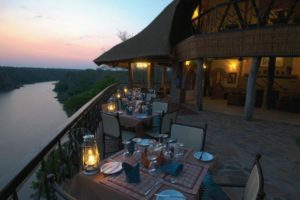 Zimbabwe’s largest National Park, Hwange National Park is the next stop on this spectacular itinerary, this will also mark the end of the Safari portion of the trip and the adventure portion will begin! Victoria Falls and all the wonderful activity options await you. You will be met at Bulawayo airport and transferred to Matobo National Park, this drive will take approximately 45 minutes. The Matobo National Park forms the core of the Matobo or Matopos Hills, an area of granite kopjes and wooden valleys. The hills were formed over 2 billion years ago with granite being forced to the surface, this has eroded to produce smooth “whaleback dwalas” and broken kopjes, strewn with boulders and interspersed with thickets of vegetation. Mzilikazi, the founder of the Ndebele nation, gave the area its name, meaning ‘Bald Heads’. Cecil Johns Rhodes chose this dramatic landscape to be his final resting place. Sunsets in this area are nothing short of spectacular. 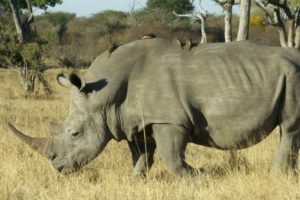 Activities include rhino tracking either by foot or by car, bush walks, visiting the grave of Cecil John Rhodes, cultural tours to the local villages and pampering at the safari spa. This morning after breakfast you will be driven to Gonarezhou National Park, this drive will take up to six hours and you will be traveling East within Zimbabwe. Gonarezhou National Park is in a relatively remote corner of Zimbabwe along the Mozambique border. Owing to its vast size, rugged terrain and its location away from main tourist routes, large tracts of Gonarezhou remain as pristine wilderness. One of the most prominent and enduring natural features of Gonarezhou National Park is the beautiful Chilojo Cliffs. These magnificent red sandstone cliffs have been formed through eons of erosion and overlook the scenic Runde River valley. Gonarezhou is Zimbabwe’s second largest game reserve. Gonarezhou is named in the local language, Shona, a name meaning “elephant’s tusk’. Early this morning there will be a charter flight waiting for you at Buffalo Range airport to take you to Mana Pools airstrip. This transfer will take four hours with a short re-fuel in Harare. Mana Pools National Park is situated on the banks of the mighty Zambezi River. 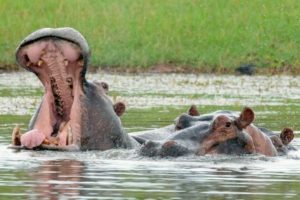 It is a region of the lower Zambezi River, where the floodplain turns into a broad expanse of pans and waterholes after each rainy season. As the waterholes gradually dry up and recede, the floodplain attracts many large animals in search of water, making it one of Southern Africa’s most renowned game-viewing regions. You will have the opportunity to experience up-close encounters with African Bull elephants, many species of plains game along with the varied predator species. Mana Pools National Park is World renowned as a walking park, this National Park allows guests the best opportunity for up-close encounters on foot. On day nine, you will be transferred back to Mana Pools airstrip where you will meet your light aircraft that will fly you to Fothergill airstrip in Kariba, this short flight will only take 20 minutes. Lake Kariba is the world’s largest man-made lake by volume. Lake Kariba offers guests the opportunity to enjoy both land-based and water-based activities. This area is a birding haven with many of the migratory birds passing through in the summer season. 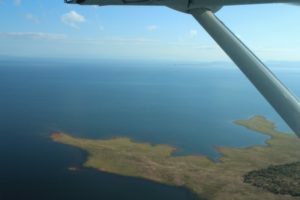 Today, you will be transferred back to Fothergill airstrip to meet your light aircraft to take you to Hwange National Park, the flight takes 1 hour 30 minutes and you get the opportunity to fly over the most stunning terrain, starting with Lake Kariba shoreline and as you get nearer to Hwange, you get the opportunity to see the stunning National Park from the air. Hwange National Park is the largest natural reserve in Zimbabwe. The park lies in the West of Zimbabwe on the main Victoria Falls to Bulawayo road. The resident wildlife includes zebra, giraffe and the rare and endangered roan antelope. The predator species are sighted regularly with families of lion and cheetah on the top of the list. This morning after a hearty breakfast and an early morning activity you will be transferred back to an airstrip to fly the short 40 minutes to Victoria Falls airport, on arrival you will be transferred by road 20 minutes into your preferred accommodation. With one of the seven natural wonders of the world, Victoria Falls is often referred to as the ‘adrenalin’ capital of the world, with over 50 activities available, there is something for everyone. 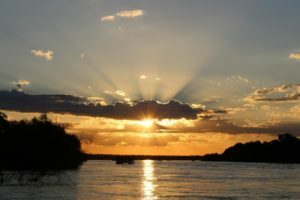 Start the day with a Tour of the Falls and end it with a leisurely sunset cruise on the Zambezi River listening to the snorting of hippo and sipping a refreshing G & T! You will be transferred back to Victoria Falls airport to catch your international flight home. Thank you for visiting Zimbabwe!